As I write this on an autumn Saturday morning, looking out at the northern end of the Intracoastal Waterway, I see examples of a couple of the topics for this month. First is a splendid large sloop, flying the flag of some remnant of the British empire, swinging into Tidewater Yacht Marina. It is the season of migration toward the islands, and many sailors’ dreams of spending a winter cruising in the sun are becoming a reality. The second sight is some Harbor 20s from the community sailing program at the Nauticus maritime museum. Only a couple of boats today, but I often count five or more. Those Harbor 20s outside my window were the result of a gift to the Nauticus Foundation to establish a community sailing program in Norfolk, Virginia, patterned on similar programs in Baltimore, New York and Boston. The program goes far beyond simply teaching youths and adults to sail, although there is plenty of that, including programs that allow students the opportunity to sail the boats outside the instructional periods after achieving basic proficiency. 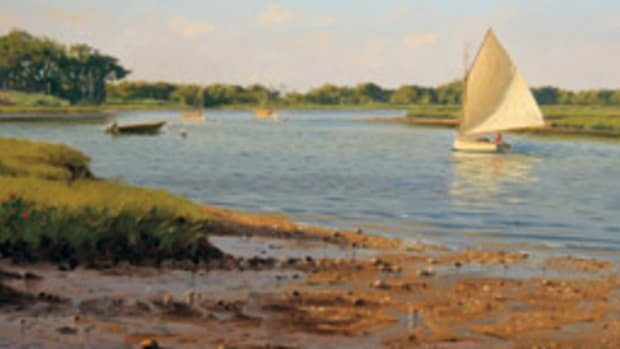 The centerpiece of the educational program is called Sail Nauticus Academy (SailNauticus.org), an after-school program that partners with the Norfolk public school system to engage at-risk students at the sixth-grade level, using sailing instruction to strengthen math and science skills, as well as promote personal development. Students make a one-year commitment to the program and can extend it for as long as two more years, with the goal of becoming instructors and leaders. It’s too early to gauge the long-term effects on these students, but from my perch, I see more boats out more often, and that is a good thing. For cruisers laying over at Mile Zero, a trip to the Nauticus museum and the battleship Wisconsin is an easy walk. 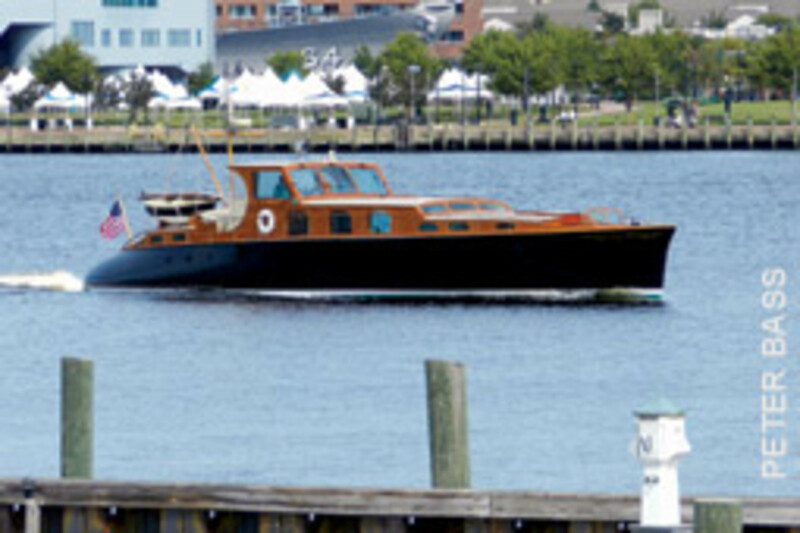 From the Portsmouth, Virginia, marinas and Crawford Bay anchorage, ferries run on the half hour from downtown Portsmouth. There are dinghy tie-ups in the corners of the city boat basin at North Street, one of the ferry stops. You’ll also find a free pumpout there. Many cruisers stop in the major yachting centers on the Bay, but only those who are fairly close to the rhumb line if they are transiting south. A few weeks in the Chesapeake is time well spent. If you have the time and rent a car, there is another part of coastal Virginia that seldom sees cruisers: the Atlantic side of the Delmarva Peninsula. Driving the Eastern Shore exposes you to all sorts of interesting-sounding places, such as Machipungo, Chincoteague and Oyster. Many of us are familiar with Chincoteague from reading Misty of Chincoteague to our children. There is a passage that winds through the Atlantic-side barrier islands of Virginia from Cape Charles to Ocean City, Maryland, or at least there was. Some areas have shoaled so badly that the Coast Guard has removed the navigational aids, so the passage is discontinuous. There are villages along the route accessible by car, and those with trailerable boats can still explore much of it. If you stop in Cape Charles — by boat or by car — it is a short drive to the village of Oyster. A little time spent online will get you started. Having come from a cold climate where the boating season consists of the weeks between Memorial Day and Labor Day, the idea that you might festoon your boat with Christmas lights and parade around the harbor seems a bit odd. Not so around the Bay. A quick search for Christmas boat parades in Virginia and Maryland uncovered a number of choices for viewing or participation, if you are so inclined. 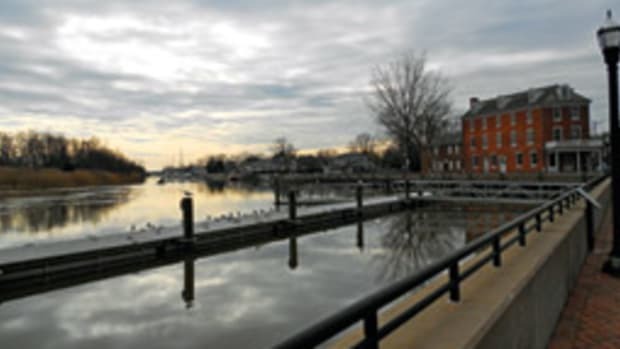 Baltimore and Solomons host parades in early December, and the Eastport Yacht Club in Annapolis — a place that really knows how to party — has a well-known event in mid-December. In Virginia, there are boat parades in Yorktown and Hampton. The event that attracts a lot of folks around here is Holiday Lights at the Beach, where for a fee you can drive your car on the Virginia Beach boardwalk amid some very elaborate displays. The event runs from Nov. 21 to Jan. 1. My wife and I have not done it, but I’m sure that were our grandchildren to visit during the holidays, we would work it in. There is a steady stream of boats exiting and entering the ICW in the spring and fall. I have been trying for the last several years to project meaning into the number, type and time of passage of the migrations — my own economic indicator. 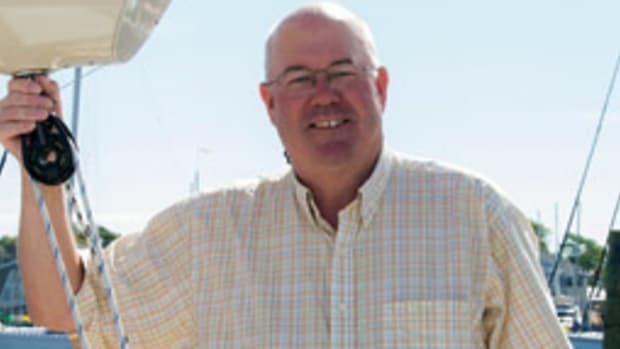 As the economy improves, there seem to be more boats transiting south; maybe retiring boomers believe their portfolios are healthy enough that they can enjoy some worry-free months in the sun. Just when I think the data fits my foregone conclusion, there are several days of quiet, and I lose faith in my model. At least I have a new hobby. Mid-October is prime for snowbirdwatching (my new word). Just as real birders keep a life list of real birds, snowbirdwatchers have their list, as well: the common Island Packet, the red-bottomed Bermuda 40, the exotic Alubat. Come set up your blind in the Portsmouth Renaissance Hotel, get some 10-power binoculars and start your list. Snowbirdwatching has one great advantage over common bird-watching: room service. The fall migration is peaking, and today seemed to be “husky sailboat day.” There were two heavy-displacement 40- to 50-footers — a cutter and a ketch, both with flush decks forward and a house aft. They were followed later by two examples of a cruising yacht that was popular in the 1970s: the center cockpit ketch. A gorgeous Oyster sloop swung in for fuel and headed down the Ditch. The Crawford Bay anchorage hosts as many as a dozen boats on most evenings these days. 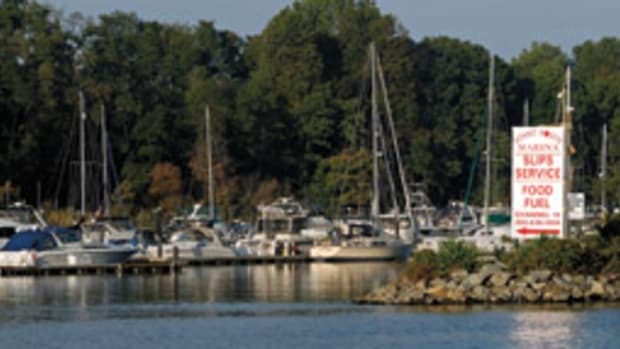 One thing I like about Tidewater Marina, where I’m based, is that there is a program for the anchoring set: For a modest fee, you can tie up your dinghy and have full access to the showers and laundry. There is also an electric shuttle to downtown restaurants and markets. There is no fee, but tips keep the service going. So swing on in. See you at the Bottom of the Bay, the Top of the Ditch. 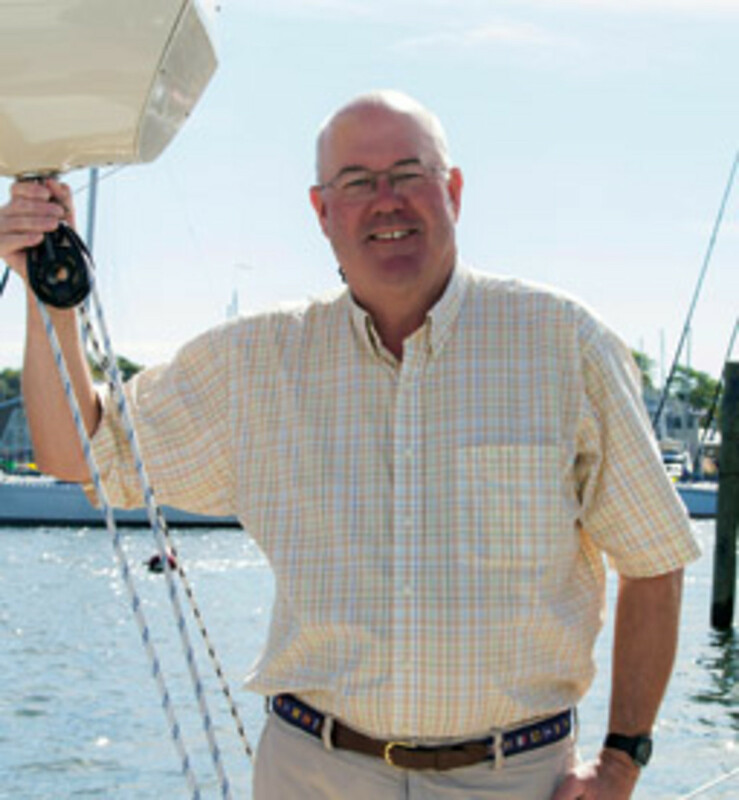 Peter Bass is a writer and yacht broker who serendipitously found himself at the nexus of the Chesapeake and the Intracoastal Waterway, a.k.a., the Ditch. Visit PeterBass.com for more.